Lock in a great price for Lawrenny Lodge – rated 9.4 by recent guests! Very, very kind host who was happy to advise on sights. Room is very clean and functional. Parking in front of the property. Breakfast very good. Everything was just great. Really quiet location, great views, great breakfast, friendly and professional staff and great walks. 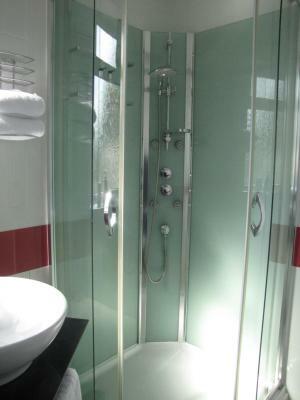 B&B was in a great location and a lovely room, very spacious with amazing views. We had some funny noises coming from the radiators that was quickly resolved when we let our host know! Breakfast was the best we have had at a B&B/hotel. Everything was fresh tasting and tasty! Fantastic view. Lovely hosts. Great breakfasts. Beautiful sea view rooms. The breakfasts are excellent.We were offered fruit, cereals and yogurts followed by a cooked choice of full English breakfast or a daily special ,such as Eggs Benedict or Scrambled eggs with Smoked salmon. We really enjoyed our stay at Lawrenny Lodge. The room was spacious, clean and cosy. The view of the sea was incredible. Our hosts were really friendly and accommodating. Breakfast was plentiful and locally sourced. I really recommend this B&B if you want a few days by the coast. It’s location was perfect for travelling up to Harlech Castle, Portmeirion and the outskirts of Snowdonia National Park. Lawrenny Lodge This rating is a reflection of how the property compares to the industry standard when it comes to price, facilities and services available. It's based on a self-evaluation by the property. Use this rating to help choose your stay! On the edge of Snowdonia National Park, Lawrenny Lodge offers traditional Welsh breakfasts and free parking. Spectacular sunsets over the Mawddach Estuary can be enjoyed from the cozy lounge bar. 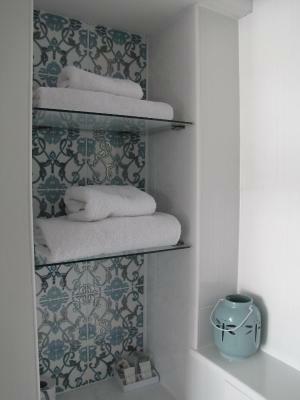 The individually decorated bedrooms at Lawrenny have a private bathroom, a flat-screen TV, tea/coffee facilities and a radio. Free Wi-Fi access is available in all rooms. Hearty breakfasts are served daily in the elegant dining room at Lawrenny, featuring fresh local produce and homemade bread. Lawrenny Lodge is a 5-minute walk from Barmouth center, and offers scenic views across Barmouth Harbor and Cardigan Bay. The beautiful Mawddach Trail and Panorama Walk start just yards away. 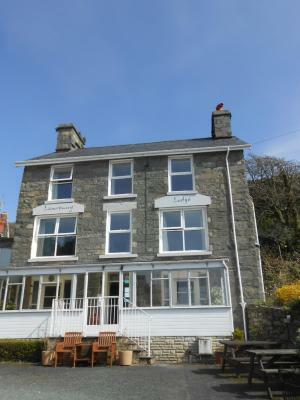 This property is also rated for the best value in Barmouth! Guests are getting more for their money when compared to other properties in this city. When would you like to stay at Lawrenny Lodge? Light and furnished Double Room located on the first floor. House Rules Lawrenny Lodge takes special requests – add in the next step! Lawrenny Lodge accepts these cards and reserves the right to temporarily hold an amount prior to arrival. Small TV, difficult to watch. Lovely owners and the choice of a daily special at breakfast was great! Very clean and loved the option to have filter coffee in your room. Excellent breakfast selection with an extra daily specials board on offer. On our two days it was smoked salmon and scrambled eggs on Saturday and eggs benedict on Sunday. I wouldn’t expect this from a £75 a night hotel or b&b.